Abu Abdo eases himself into the driver's seat, itching to try out freshly laid train tracks between two suburbs of Syria's capital, Damascus. "I've been waiting for this day for six years," the 42-year-old says, drumming excitedly on the train's control board. He prepares for a test drive on a stretch of tracks leading from Qadam station -- until May a pocket of Islamic State group resistance -- to grounds hosting the annual Damascus International Fair. After seven years of war, the government is now back in control of nearly two thirds of Syria's territory, after seizing large swathes back from myriad rebel and jihadist groups. And the week-long fair, which started on Thursday, is being serviced by 28 trains each day, according to state media. Abu Abdo begins the trial run. "When I drive a train, I feel like I'm flying," he says, happy to be back behind the wheel after six years stuck behind a desk and largely idle at the Public Transport Authority. Locomotives had chugged across Syria for over a century, carrying passengers, construction materials, oil and gas over hundreds of kilometres (miles). 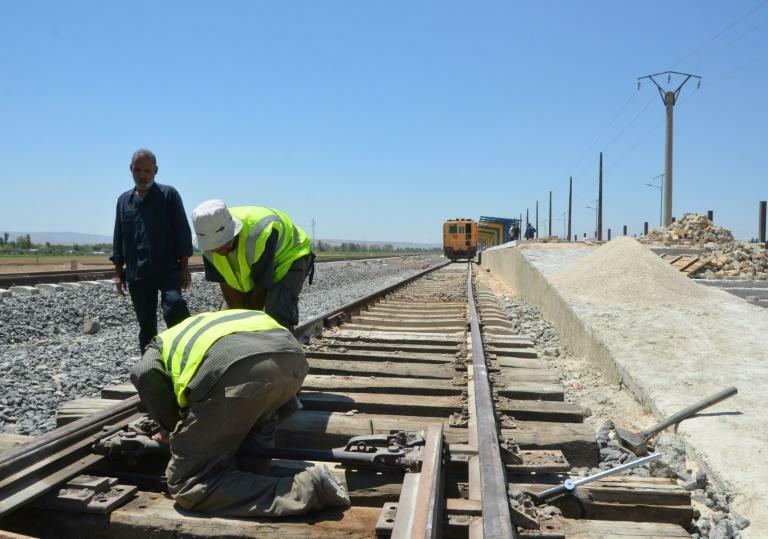 Of the 2,450 kilometres (1,500 miles) of train tracks that cross Syria, some 1,800 kilometres will be repaired, according to the transport ministry. Routes that will be revived include those running north-south between Damascus, Homs and Aleppo, as well as lines between the coast and the country's east, bordering Iraq. 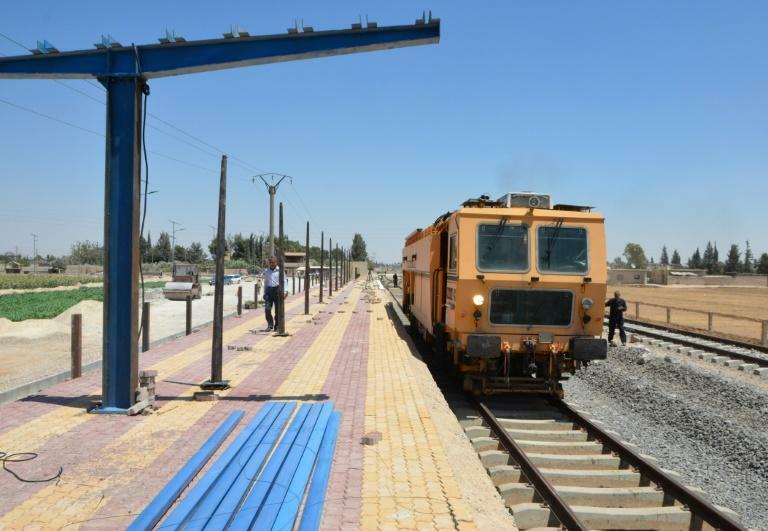 "Some tracks were stolen and others were damaged because of the war," says Radwan Tikriti, the railway chief for the Damascus region. He has worked with locomotives for 30 years and once lived near Qadam station, where he grew accustomed to waking each morning to the sound of train whistles. That changed in early 2013, when rebels overran the district and Tikriti fled, ahead of Qadam then falling into IS' clutches. "We're working now to link the cities (back) together," Tikriti tells AFP. "We're in a race against time to rehabilitate the railway. We all really want to hear the sounds of trains" again, says Tikriti. 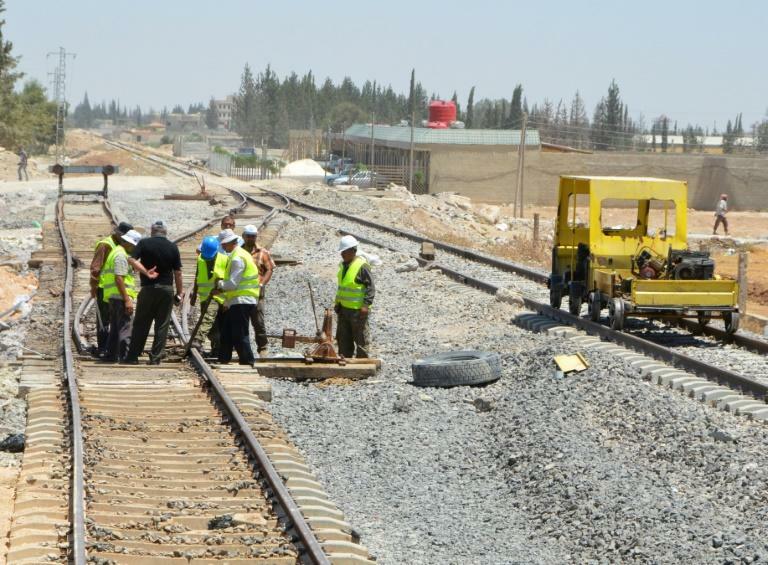 In July, President Bashar al-Assad earmarked rebuilding Syria as his "top priority", and reviving the railways is a big part of that task. "The railways will play an essential role in reconstruction," Hammud tells AFP. Cargo trains carry construction materials "faster and cheaper" than lorries, he says. Repairing the railways could also revitalise land trade and jump-start Syria's collapsed economy, Hammud says. "We're the gateway to the Mediterranean for the Gulf, Jordan, and Iraq," he says, pointing to a map of Syria. "The objective is to link Syrian ports to neighbouring countries," he adds, referring to the maritime posts at Tartus and Latakia. "We're going to reconnect all the borders." For driver Abu Abdo, the railway's revival is personal. "I hope the day will come when I can go back to my hometown," he says. "Only then can we say that Syria has become what it was before the war."